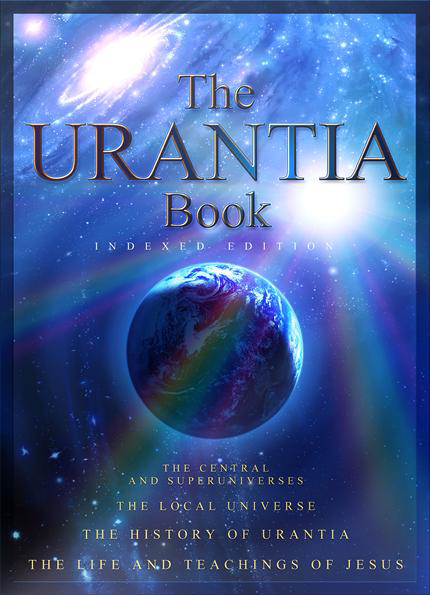 The Urantia Book provides a unique synthesis of the highest ideas, ideals and values found in Christian thought with an authoritative presentation of fundamental concepts of the universe into which we are being born. The text itself indicates that its expression is based upon the best thought of over one thousand human beings. A focus of current scholarship is the attempt to locate the sources of these ideas.Current research into this matter is turning up authors which include Charles Hartshorne, Auguste Sabatier, Rufus Jones, E. Washburn Hopkins and other thinkers from the first half of the twentieth century. first two provide an explication of Trinitarian cosmology, describing in considerable detail the functional relationship of the Trinity to the finite, as well as the derivation of the finite from Trinity sources and its response to Trinity overcontrol. The resultant cosmology describes a universe consisting of matter, mind and spirit which, on the level of the developing finite, are progressively integrating under the dominance of spirit. integration with Trinitarian theology is further developed in the portrayal of the Son of God functioning as the human Jesus of Nazareth. was mentioned earlier, this presentation of the life and teachings of Jesus may be the single most significant aspect of the text in terms of its acceptance and spread throughout the Christian world. “If Christianity could only grasp more of Jesus’ teachings, it could do so much more in helping modern man to solve his new and increasingly complex problems. “Christianity suffers under a great handicap because it has become identified in the minds of all the world as a part of the social system, the industrial life, and the moral standards of Western civilization; and thus has Christianity unwittingly seemed to sponsor a society which staggers under the guilt of tolerating science without idealism, politics without principles, wealth without work, pleasure without restraint, knowledge without character, power without conscience, and industry without morality. “The hope of modern Christianity is that it should cease to sponsor the social systems and industrial policies of Western civilization while it humbly bows itself before the cross it so valiantly extols, there to learn anew from Jesus of Nazareth the greatest truths mortal man can ever hear–the living gospel of the fatherhood of God and the brotherhood of man. The Urantia Book, [195:10.19]. Next Next post: What does “There is hereby imposed” mean?